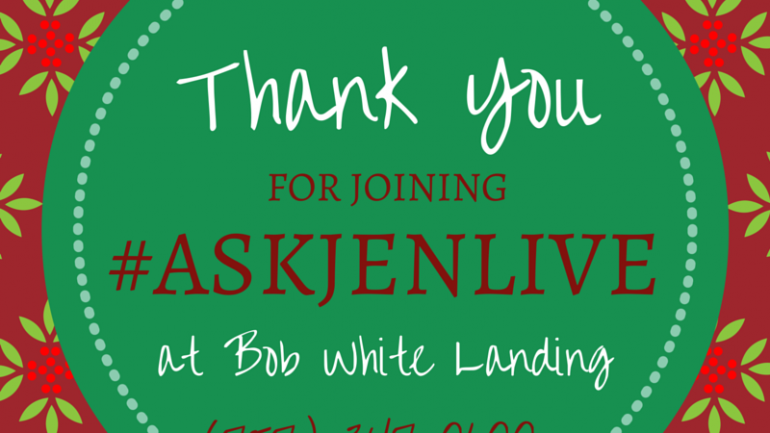 This week, #AskJenLive took a trip to the new homes community of Bob White Landing in Suffolk, built by Napolitano Homes. 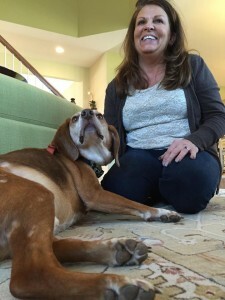 Meet Brutus from the Norfolk SPCA– he’s a 9 year old boy who has a gentle soul. We’re on our way to the new homes community of Bob White Landing! Today I am here at Bob White Landing located in Suffolk. This community boasts a country, rural setting but is located minutes away from all the necessary accommodations! Bob White Landing is an all-brick, family-friendly community with spacious homes and large lots! Brutus was so happy to arrive, he fit right in and was so well behaved. He’d make a great addition to your family! Our onsite sales associate Sheri was sure to give Brutus some good lovin’. Below is the view of the family room, open to the kitchen, from the upstairs landing of our Waterford model. Beautiful! There are only 3 homes remaining at Bob White Landing! 1 Sorrento floor plan, and 2 Waterford floor plans. View model details here. Check out the huge master closet in the Waterford model! Swoon! My marketing manager said she would do yoga in here. Today’s featured community is built by Napolitano Homes..The builder of Bob White Landing is Napolitano Homes. For over 37 years, Napolitano Homes has been setting the benchmark for new homes that Hampton Roads families want: exciting and well-thought-out designs, innovative features that make life easier, and great value in excellent locations. Learn more about their team here. And as a bonus, Napolitano Homes is sponsoring today’s featured pup, Brutus, from the Norfolk SPCA. He is ready to find his fur-ever home, just like you! Contact myself or the Norfolk SPCA if you’d like to schedule a meet and greet with this fella’! Thank you to all that joined me for ‪#‎AskJenLive‬! 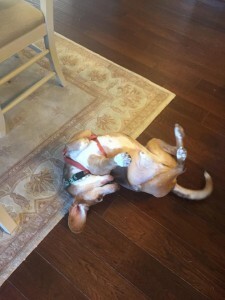 If you have any questions on this week’s featured pup, communities or any other ‪#‎RWNewHomes‬ property, feel free to contact me via my online form or give me a call at (757) 347-0600.